& most importantly, SALES for your business. Nearly 90% of internet users are on social media every day. Take advantage of this huge potential for new sales! tailored perfectly for your product or service. Super Software produces and maintains effective social media campaigns on all of the following platforms – Facebook, Instagram, Twitter, Pinterest and YouTube. Most of our clients are in Rockland County, NY and Westchester County, NY (New City, Tarrytown & White Plains). Through the use of up-to-date social media marketing strategies, we are able to help your business grow and meet your online marketing goals. Nowadays, search and social media are inseparable. Make sure your business is making the most of social media – let us create a custom-tailored strategy for your business. Over 86% of internet users are on social media daily, and there is a huge opportunity for your business to connect with potential customers. Let Super Software create a comprehensive strategy developed specifically for your business and its audience. We truly enjoy the process of creating social media buzz about your company, and we have the expertise and tools to naturally attract more people to your pages. Our experienced team of social media professionals will create, manage and consistently deliver high-performing campaigns for your business, no matter what products or services you offer. With our social media knowledge, we are able to position our clients as influencers in their field. By delivering engaging, informative content, we build your “active” following and increase word-of-mouth about your business. Our unique strategy translates into more leads and improved sales for our clients. Advertising on social media is a great way to effectively connect your product or service to countless individuals and businesses. Super Software employs highly-targeted social media advertising that allows our clients to reach the correct demographic at an affordable price. We create effective advertisements targeted for your ideal client, then optimize them for effectiveness. Some firms claim that they can get you thousands of “likes” and “followers.” These are often from fake users who do not help your brand or business at all. They simply inflate the numbers on your social media profiles in an unnatural way. We help you gain real followers who are genuinely interested in your products and/or services. 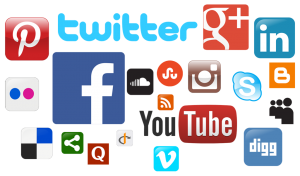 Using the latest social media tools and software, we are able to share your content at the best possible times on each social network. This way, you know that your content is being seen by the most people possible. With our tools, we can post the same content on each social network, or customize posts for different social networks. In order to create and run an effective social media campaign – whether organic or paid – we will figure out exactly what your business needs. We’ll determine the best social networks for your business, as some are better than others depending on what products and/or services you offer. Then, we’ll come up with a strategy to generate genuine interest and engagement by real followers. As people interact with your business, they will naturally generate word-of-mouth which leads to more referrals and sales.